Datasheets, use cases and white papers on Datapred, machine learning and time series. Applying machine learning to time series is tricky. 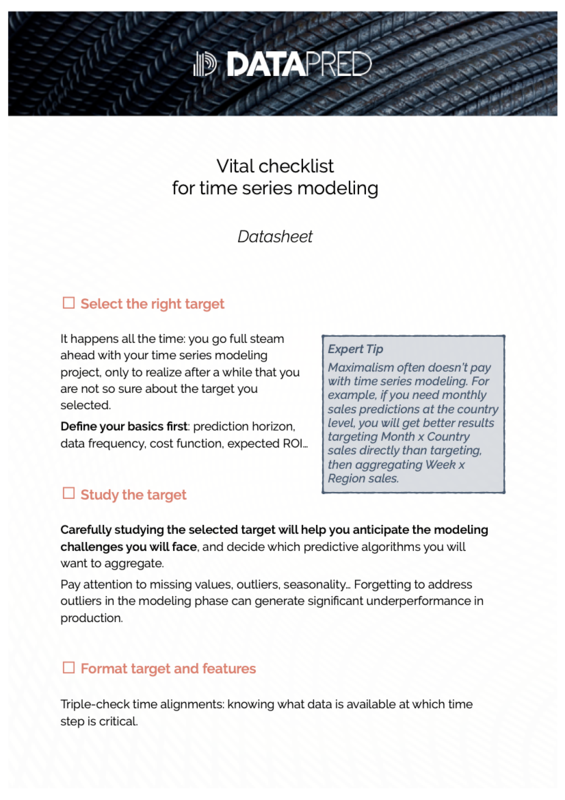 Don't dive into your time series modeling project without checking this 3-page life-saving list first. Why is time series modeling so different? 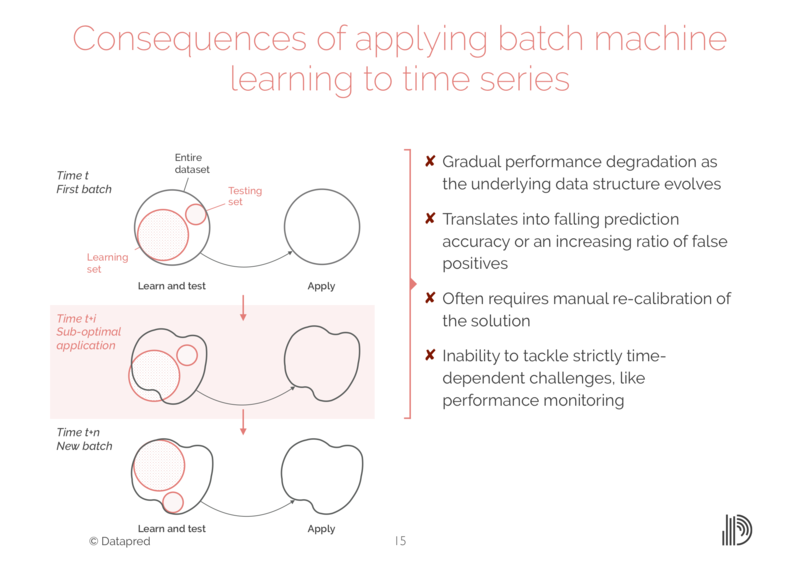 This 22-page presentation is a detailed explanation of the three specificities of time series, and their consequences for the design of machine learning solutions. When should you use Datapred?